Andy is the winner of 11 Championships. 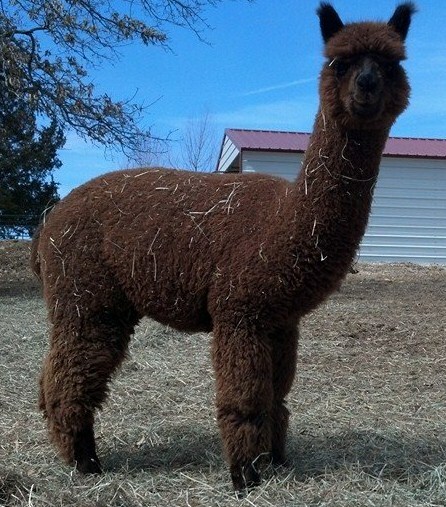 Andys color is a deep dark brown with black on the ears and muzzle indicating that he is carrying a black color recessive. His frame is ideal - nice and square with large bone. . Wade Geese stated in the New Jersey show that he was an "Exceptional package; consistent throughout; great density style and brightness; clear winner; kind of male everyone should want in their breeding program; want to see more of in the future!" A.L.Paca's Revlon is the medium rose grey female out of A.L. 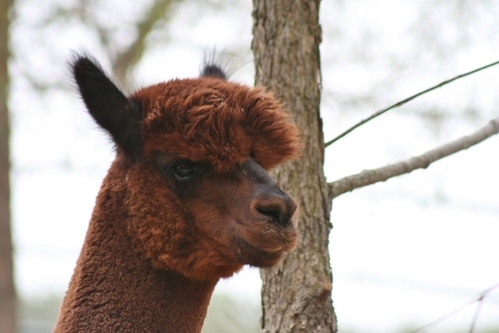 Paca's Revolution. 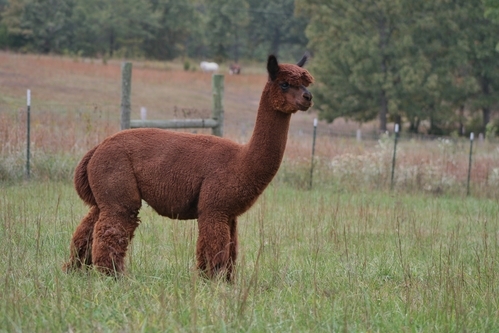 Revlon recently delivered a gorgeous light silver grey female sired by Snowmass Kahuna Sunrise, the 16-time Champion male sired by Snowmass Conopa's Kahuna. 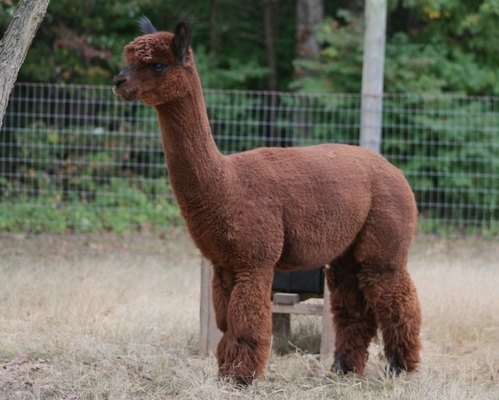 His fleece is incredibly fine and dense with amazing fleece coverage and perfect conformation. His offspring are hitting the ground and they are stunning. I would expect nothing less from this little girl. Rainman has started breeding here on the farm and and is now ready (and very willing!) for outside breedings. Addtional discount provided if purchasing multiple breedings; if you live within 200 miles of our farm we are also open to providing mobile breeding services. There is always some amount of risk when choosing a herdsire to impact the next generation within a herd. With that said I would like to point out that making those choices is also making an investment in your herd and the future of your farm. When making investments there is risk . . . . . and then there is 'calculated' risk . . . . . . . certainly when you pick a proven herdsire with many offspring on the ground it is a way of minimizing that investment risk. Where Rainman is concerned we recognize there is risk as he is young and has not proven himself with outstanding offspring YET! In addition to his very impressive ARI Certificate Rainman has a winning personality; he is well mannered and easy to handle AND he loves his new job of "herdsire". 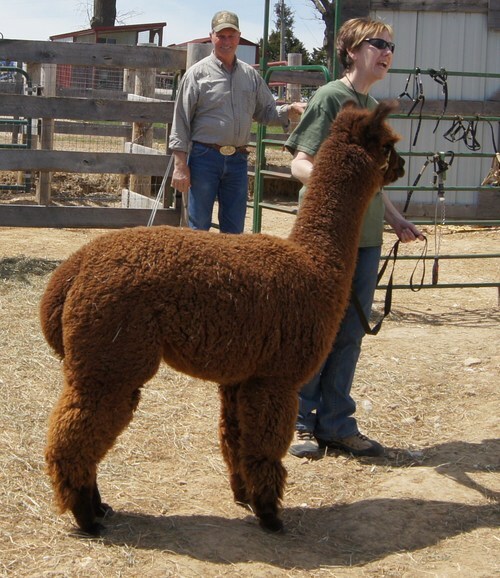 And of course along with everything else he has amazing fleece. 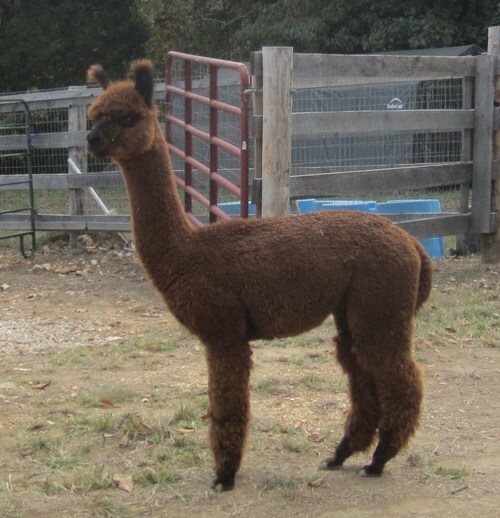 Please feel free to call us if you have any questions or would like to have a fleece sample; better yet stop by the farm and meet him for yourself! UPDATE: We have three offspring here on the farm sired by Rainman (2 female/1 male) and each one of them has lovely uniform fleece covering sturdy conformationally correct bodies. To make things even better each one of them has Rainman's gentle personality. 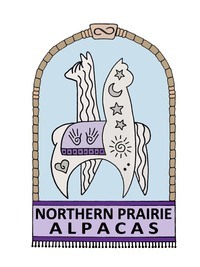 2nd - 2015 MOPACA Fleece Competition Judges comments "Very soft, fine fleece, showing even expression of crimp and denstiy!" BEST HAND 2016 TxOLAN Judges comments "Holding good fineness with exceptional hand"